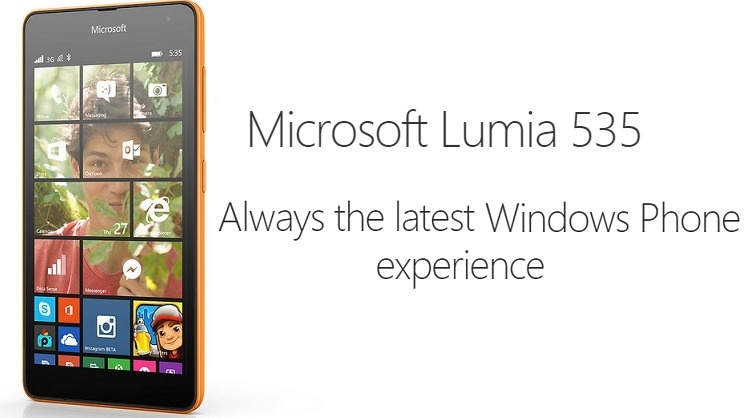 The Lumia 535 Dual SIM comes with the latest version of Windows Phone. And with regular over-the-air updates, you’ll always have the newest software. In class or at work? With Microsoft Office built in, and quick access to your files through OneDrive viewing and editing your documents is easy. And you get 15 GB of free OneDrive storage – upload your photos and share them with friends in a private folder. 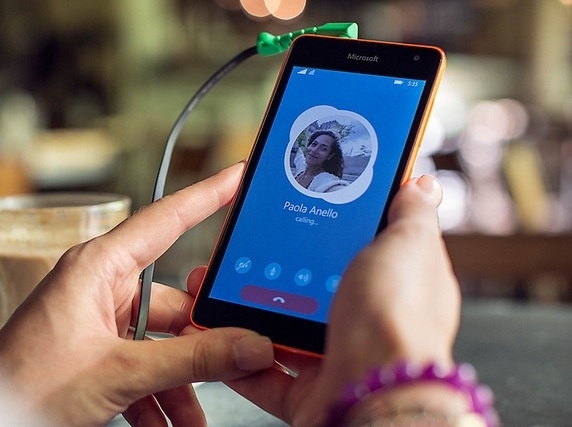 Skype calls look fantastic on the Lumia 535 Dual SIM. Want to turn a regular phone call into a high-quality video call? No problem. Just tap the Skype video call button and with the wide-angle lens, your Skype video calls will show more of what’s behind you – get more friends and family in the call at one time. Want apps? We’re with you. 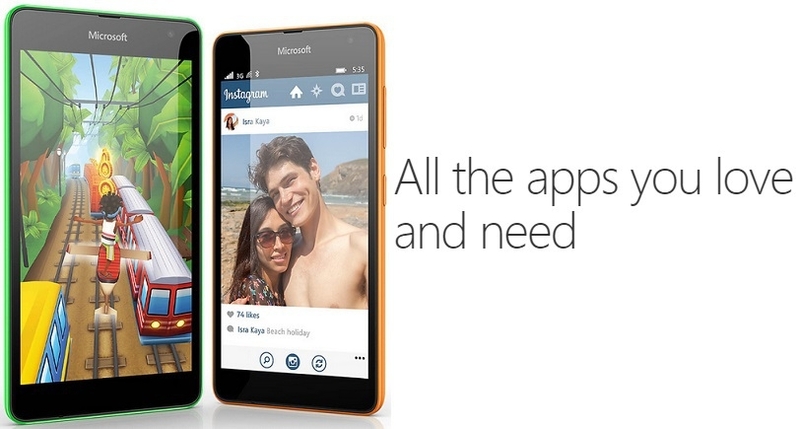 Introducing Windows Phone Store, your library to all the apps you want and then some – hundreds of thousands of them. From top titles like Instagram and WhatsApp to the most popular up-and-coming games like Subway Surfers, you’ll never be bored on your Lumia 535 Dual SIM. Even watch your favourite apps come to life with Live Tiles on your personalised Start screen. Coming packed with premium features, the Lumia 535 Dual SIM sports a coulourful design, easy readability in sunlight on a large five-inch display and a quad-core processor for a smooth smartphone experience. And if the built-in 8 GB of internal storage and 15 GB of free OneDrive storage isn’t enough, bulk up to an additional 128 GB by adding a microSD card. Take control of your mobile costs with ease and be reachable to all your friends and colleagues with Smart Dual SIM. Easily enable call waiting and call forwarding between two SIM cards on the Lumia 535 Dual SIM smartphone. Operator charges may apply. With the perfect camera built for selfies and other pictorial images, you can be rest assured that whenever you take a shot with your 5MP both front and rear camera, you will be getting a perfect image as expected. So, order this Microsoft Lumia 535 Dual SIM Smartphone from Jumia today and experience what a modern phone can do. 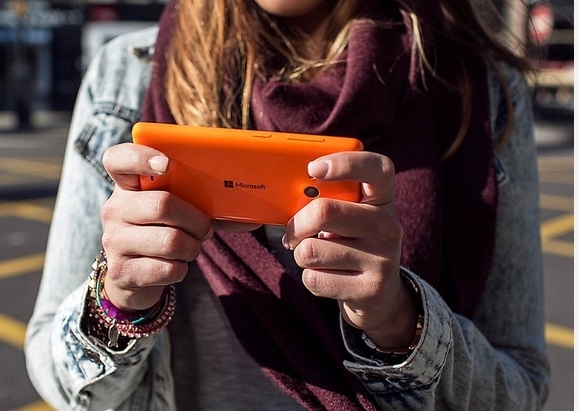 Get the complete Microsoft experience with the Microsoft Lumia 535 Dual SIM Smartphone. This phone comes with the latest Windows operating system with regular over-the-air updates. It also has OneDrive which gives you up 15GB of free OneDrive storage.